Philadelphia Academy of School Leaders | Mitchell Elementary Students Make It to the End! Mitchell Elementary Students Make It to the End! 13 Jun Mitchell Elementary Students Make It to the End! Mitchell Elementary School, led by Principal Stephanie Andrewlevich (Neubauer Fellow, Cohort 3), celebrates the eighth-grade students on their graduation day for accomplishing an unusual goal! 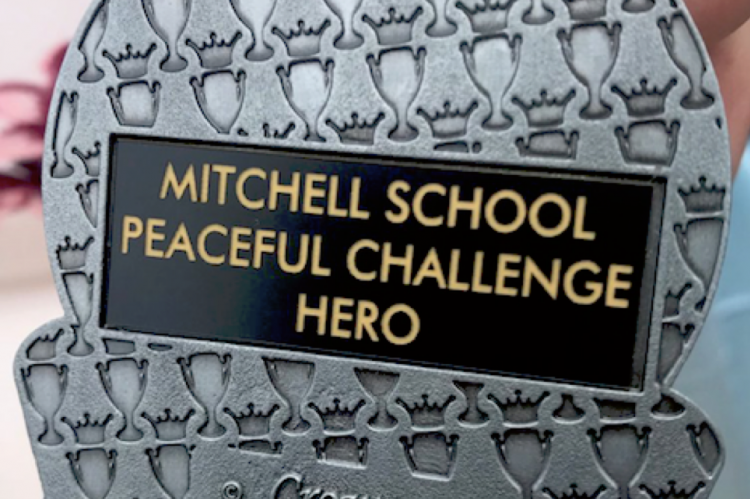 The Mitchell eighth graders were part of an unusual and polarizing challenge from their principal that attracted national attention: If they made it to graduation without any physical altercations, they would each get $100 and lessons in financial literacy. The challenge was not sponsored by the district; it was Andrewlevich’s idea — and she vowed to pay the $3,600 herself if no donor stepped forward. After the Inquirer and Daily News detailed the challenge, a legion of contributors did emerge. An anonymous sponsor agreed to cover the $3,600. M&T Bank offered money-managing classes to students and parents and a trip to the bank, where the eighth graders received bank accounts with the cash already deposited. In the end, 32 of the 36 teenagers made it to the finish line. Four girls got into a fight this spring; they did not earn the money or the medals that Andrewlevich draped around the necks of the rest of the class. Read more about the students at Mitchell here.